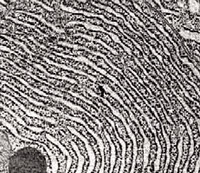 In order to make all of the discoveries explained in cell structure scientists first needed to use a variety of techniques. These are all explained on this page. An electron microscope is a very expensive and often large piece of equipment that is very different to a light microscope you will have used in the lab. It is capable of magnifications up to millions of times (compared to hundreds with a light microscope). There are two types of electron microscope. The transmission electron microscope (TEM) or scanning electron microscope (SEM). 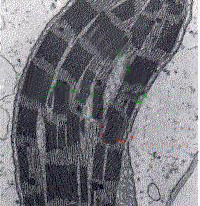 The TEM works by passing electrons through a specimen that is no more than 1µm (one micrometre) thick. The electrons in the specimen are diffracted and the electrons are then picked up by a fluorescent screen. The SEM requires a mould to be made of the specimen using a heavy metal, electrons are then reflected off of this sample. The advantage of the SEM is that it created more 3D images, but the resolution and magnification is less. 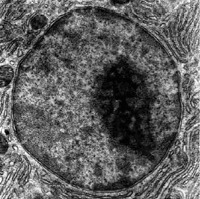 This is a method to separate different organelles of a cell so that they can be analysed, perhaps to look at under an electron microscope. 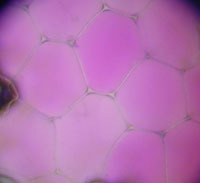 The first image shows that a sample has been cut up into smaller pieces in an ice-cold buffer solution. This solution maintains the pH so that enzymes will not denature, and the ice prevents any of the enzymes breaking down newly exposed parts of the cell. In the second image you can see the sample being homogenised; the sample is put into a homogeniser (a bit like a blender) which breaks up the cells. The mixture is then filtered to remove debris and poured into test tubes that are placed in a centifuge where it is spun at very high speeds. The most dense material forms a pellet at the bottom of this sample (probably the nucleus). A liquid sitting on top of the pellet also forms called the supernatunt. Once it has been separated, the supernatunt can then be spun to separate the next densest material. Differentiation means to be able to tell the difference between different things. 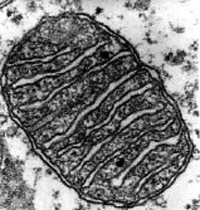 It is important to be able to do this when analysing cells, so you know what organelles you are looking at. 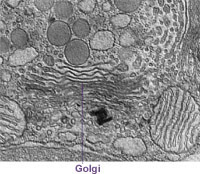 For information on them see cell structure.